All Patients wants to find a dentist that provides patient focused care. We have a network of Adar affiliated dentists that specialize in not only restoring your oral health but giving you the esthetics that we are known for! Get The Look of Adar® is a signature line of teeth made to the patients specifications, if you would like the white and bright “Hollywood” smile, you’ve got it! If you want the natural look of “characterized” teeth, you’ve got it! We are here to serve you. If you are a Dentist looking for an exceptional dental laboratory with products that satisfy your high standard of care you have come to the right place. We will provide you with our restorations made with our proven processes and protocols to ensure that you and your patient knows exactly what they are getting with their Smile Design. Our ADAR Success Academy will benefits every dental professional. Dentists, hygienists, technicians, assistants, or office administrators, the Success Academy transforms careers, practices and lives, through teaching not only skillset but toolset and mindset also. We welcome you to Adar Dental Network! We teach and inspire, we have created the Adar Success Academy to help dental professionals learn effective planning and processes that makes their businesses more predictable, profitable, and enjoyable. We love to spread our passion to others in our industry. We want to live and inspire everyone… we want to change lives! . Over 40 years ago Pinhas was offered a job paying $10,000 a month to stay and manage the laboratory that he worked at. He turned it down to follow his dreams. It wasn’t easy to ignore the ones who told him he would not make it, sleeping on park benches and paying . 25 to take a shower. But all of this played a role in shaping him on the way to his goals. Since then he has become a person who is considered a world renowned dental ceramist who creates exceptional dental prosthesis and smile designs. He has presented on the stage of every major meeting in the USA and abroad. He has published articles for every major dental journal both in the US as well as abroad, and also has contributed chapters in many published books.. He is on the editorial board of 7 different dental journals. Holds a Mas- termind meeting every month and is owner of his own Success Academy, teaching skillset, mindset and toolset. With a voice that is dynamic, energetic and inspiring, he has won awards both inside and outside of dentistry for his speaking and communication skills. From the beginning his passion has been to get rid of mediocrity in dentistry. He moves people emotionally as well as mentally. Bridging the gap between being stuck and where they want to be by using his natural ability to engage and empower others. He is inspired to come up with new processes and protocols and to set a new precedence in esthetics and avoid all of the dated methodologies that others may cling to. • Pinhas believes that touching the heart of the audience is not all about processes and techniques but about the visions of themselves being better, doing more and achieving more. • The participants will be able to walk away with a new skillset that can be put to use im- mediately by offering real life suggestions that can provide change. • Participants will leave with definitive steps they can use to improve their lives and busi- nesses. • Pinhas will captivate your audience by sharing his inspiration and insight through his en- ergetic and dynamic speaking. 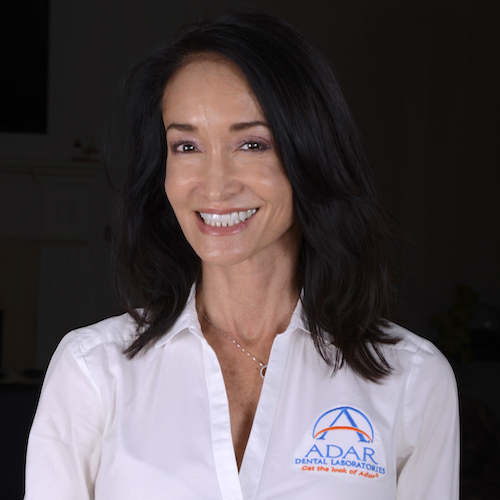 Debby Adar serves as Executive Vice President of Adar Dental Network, Inc., President of The Adar Success Academy. She has worked in Dentistry for 40 years, beginning at age 15 as a dental assistant after school. Her experience expanded into multi-disciplinary practices specializing in smile makeovers, implants, and single & full arch reconstructions as well as surgical reconstructions performed in hospitals. She is knowledgeable in OSHA compliance management, infection control and clinical training, and has been featured in dental videos and television shows. Notable industry professionals have utilized Debby as a clinical research ghostwriter for 35 years. Debby is currently one of Les Brown’s Platinum Speakers and brings a message of hope and success to others with her message. Debby built a $1 mill sales organization for an International business as well as teaching and training as the U.S. liaison for a Canadian based Facial Esthetics company. Throughout North America, she has trained various types of doctors and clinical staffs on Facial Esthetics and empowering others through anti-aging techniques. Protect Your Smile with Dental Warranty, the highest level of peace-of-mind available for protecting the investment you’ve made in your smile. REQUEST PROGRAM INFO & SPECIAL SAVINGS! Pinhas Adar is also the first and only laboratory technician in the state of Georgia to become an accredited member to receive AACD credentials. The Accreditation process, which was developed by the AACD and is the world’s most recognized advanced credentialing program, encouraging further education, interaction with like-minded colleagues, and the opportunity for professional growth. Accreditation requires dedication to continuing education and responsible patient care. GADC is the premiere state cosmetic dentistry organization. 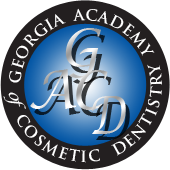 Serving as President in 2012 and now still a member of the GACD, Pinhas Adar is among an exclusive group of Georgia dental professionals who are committed to excellence in the practice and advancement of Cosmetic Dentistry. Pinhas Adar joins Dental Experts throughout the world in providing Continuing Education to Dental Professionals via DentalXP. Dental XP is an ADA CERP Recognized provider of online and in-house dental courses. Pinhas’ productivity and achievement skills have been honed by his mentor, Darren Hardy. As the publisher of Success Magazine, Darren Hardy knows how to get things done in an extraordinary manner, and this is what Pinhas has learned through the Insane Productivity program. This program revealed to Pinhas the strategies and daily productivity systems used by today’s elite achievers to achieve insane results, insanely fast. This knowledge is infused throughout the Adar enterprise. This invitation-only membership organization is only for the most accomplished professionals in the field of esthetic dentistry. Established in 1975, the AAED promotes the integration of dental esthetics into the total spectrum of oral health care. Their elite members perform some of the most sought-after and complicated cosmetic dental procedures available in the world today. 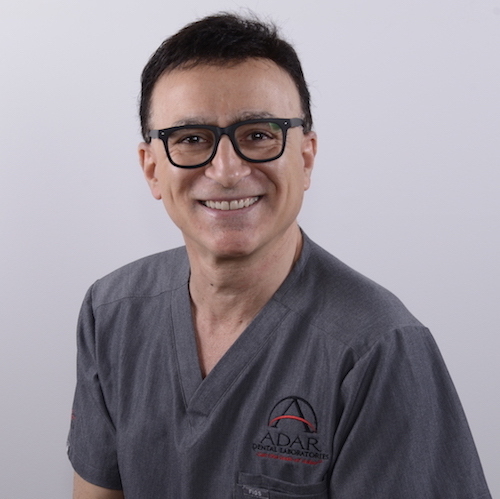 In 1980, Pinhas Adar, MDT, CDT was nominated with written endorsements from three eligible Academy Fellow and Life Fellow members to become a member of the AAED. After reviewing his achievements in the areas of academic service, publications/editorial service, honors and/or awards, scientific presentations, and other service to the dental profession, the Executive Council approved Adar to become a full-fledged member of this organization. He is now a Fellow in the organization. Willi Geller’s Oral Design International was founded to explore the frontiers of dental aesthetics, while increasing the cooperation and communication between technicians and dentists. Oral Design members, together with the dental industry, have refined the techniques and methods to create and evaluate new materials and skills to be able to create the most lifelike restorations possible to improve the patient’s oral health and self-image. Pinhas was among the first seven members of Oral Design International. Pinhas believes everyone needs a coach, and he follows his own advice. In order to improve his speaking and communication skills, Pinhas has chosen internationally acclaimed speaker and Author Les Brown as a professional mentor. 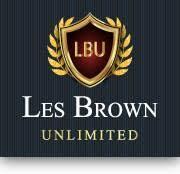 Les is the author of the highly acclaimed book, Live Your Dreams, and former host of The Les Brown Show, a nationally syndicated daily television talk show which focused on solutions rather than problems. With Les Brown’s guidance, Pinhas is gaining a greater understanding and stimulating human potential, utilizing powerful delivery and newly emerging insights to teach, inspire and channel people to new levels of achievement. These processes, which impact Fortune 500 companies, can now can be utilized to impact lives during keynote addresses, group, and private training. Keynote speaker at Eagle University (http://www.eagleuniversity.org), enlightening high school and college age students. Graduate of Sterling Ledet School of video production, special effects and design. Using this specialized knowledge, Pinhas helps dentists use digital technology for patient communication and presentations.